Welcome to the first “Housing Advocates in Action” update of the 2017 legislative session! Watch for an email in your inbox, and a full blog post here every week or so. This update will serve as a “what’s happening” in Olympia with housing and homelessness policy, and will include the best ways for you to TAKE ACTION and be a housing advocate. In the past these have been weekly emails, but with so much happening in Olympia, we didn’t want to constrain ourselves to a strict timeline. These are great emails to send to your colleagues, board members, and family who share your passion for ending homelessness and expanding affordable housing opportunities. So, bookmark our blog, and watch for our emails so you’re always in the know! Housing Alliance advocates traveled to Olympia to educate lawmakers on the House Community Development, Housing & Tribal Affairs Committee about the importance of the Document Recording Fees in their local efforts to prevent and end homelessness. Special thanks to Kay, Rhonda, Tess and Mary Jane for their extremely informative presentations. The Housing Alliance team hit the ground running when the legislative session started on Monday, January 9th. With two work sessions on affordable housing and homelessness, four budget hearings, and many lawmaker meetings, it was a very busy first week. But every week during the session is likely to be equally as busy, especially since our movement has done an excellent job of raising affordable housing and homelessness to the forefront of legislative priorities for many lawmakers. With expectations low, we strive even higher. The legislature, as in years past, is divided with the House controlled by the Democrats and the Senate controlled by the Republicans. Many are already predicting that this session, which is scheduled to end on Sunday April 23rd, will be prolonged until the day before a state budget must be signed – June 30th. Technically, the legislature’s sole job is to pass a budget for the next two fiscal years, which begins on July 1, 2017. If a budget isn’t passed by then, the state government will shut down. That is an unlikely scenario and expectations are that, although it may take a while, agreement on a new budget will be reached. The question is, what will be in the final budget and will it invest in affordable housing and homelessness? Doubling of the ABD (Aged, Blind, and Disabled) cash grant from $197 to $400. This cash grant helps extremely low-income, disabled adults meet their basic needs while they are applying for SSI. $400 puts the program on par with the average HEN (Housing and Essential Needs) rental assistance, thereby helping to prevent people from becoming homeless when they are transferred to the ABD program. This transfer, per state law, happens once someone is determined to have a permanent disability and the very low $197 per month is not enough to cover the loss of the HEN rental assistance. $20 Million dollars for the Home Security Fund to increase resources to prevent and end homelessness. The Governor’s budget would put new money from the state general fund into the Home Security Fund, allowing the state to send out more money to local communities for homelessness services. This is the same account (The Home Security Fund) that document recording fee revenue is deposited in and would fund the same kinds of critical services including domestic violence shelters, homeless youth programs, permanent supportive housing services, rental assistance, and more. $116.5 Million for affordable housing development, plus $28 Million for weatherization of low-income single-family homes. The Governor’s Capital Budget proposes a total of $116.5 million for affordable housing, including $88.8 million for the Housing Trust Fund and $10 million for the preservation of currently affordable housing that is aging. These investments are good starting point, but we are urging that the legislature to get much closer to our ask of $200 million dollars between the next two budget years (the biennium). $200 million for the Housing Trust Fund would create over 5,700 new, affordable homes while also creating 9,000 local jobs and over $655 million in local income. In contentious times, we need to stay on course with a clear focus on the top affordable housing and homelessness priorities. As in years past, persistent, loud, and righteous advocacy can move mountains in our state. In the face of a Donald Trump becoming our nation’s president and his cabinet of Wall Street, far-right extremists, it is more important than ever that our state stands up for and invests in the needs of our lowest-income neighbors. While the Housing Alliance will be leading on the top affordable housing and homelessness priorities, we will also be supporting efforts to protect immigrants, protect voting rights, protect the rights of LGBTQ communities, especially our transgender neighbors whose non-discrimination protections are under attack, and of people of color. All of these communities, and more, are being targeted, and the Housing Alliance will stand with our allies against hate and discrimination. Secure and preserve funding for homelessness services: Eliminate the sunset on the document recording fees, increase the fee and fix the 45% mandated use on just on purpose – private, for-profit rental vouchers. Outlaw discrimination based on a renter’s source of income: Everyone should have an equal opportunity to compete for housing, yet many landlords categorically deny applications by people relying on lawful sources of income to help pay their rent. Discrimination based on the use of a Section 8 voucher or SSI income has a profound impact on low-income households, many who have waited years for their housing assistance. It has disparate impacts on people already at high risk of discrimination based on race, disability, family status, age, or status as a veteran because all these households experience disproportionately high incidences of poverty. Local jurisdictions in our state have passed or enhanced source of income protections for renters, including most recently Vancouver, Seattle, and Renton, but this discrimination should be outlawed to ensure all of Washington’s tenants are protected. The Health Care Authority (HCA) announced on January 9 that the federal Centers on Medicare and Medicaid Services (CMS) approved Washington's Medicaid Transformation Demonstration, also known as Washington's 1115 waiver. This includes the new supportive housing services Medicaid benefit that the Housing Alliance has been advocating for over the past several years. CMS has approved high-level “special terms and conditions”, and now the HCA will work to finalize the benefit design and implementation timeline. DSHS is hosting a webinar to provide updates to stakeholders on January 26 at 8:30 AM; you can register for the webinar here. A couple of messaging notes for advocates--the state will now be referring to the 1115 waiver as the "Medicaid Demonstration Transformation." The benefits within initiative three, which includes the supportive housing benefit, will be referred to as "Community Transition Support Services." Lastly, here's a link to the state's official announcement. Despite the grim state budget fights that lie ahead and the many scary impacts of a Trump administration, our movement has pushed affordable housing and homelessness to the forefront of Olympia’s agenda. In these otherwise uncertain times, this means we have a very strong foundation to build off of and that means that we can still secure significant wins this session. But wins will require advocacy and determination, so let’s start of this week with a bang. Please take action today and tell your lawmakers to support at $200 Million investment in the Housing Trust Fund, and to eliminate the sunset on Document Recording Fees and raise the fee. Housing and Homelessness Advocacy day is a fun, uplifting and impactful day of action. And we need you! On February 2 in Olympia, over 600 advocates from nearly every district in the state will put on their red scarves and converge on the capitol for meetings with legislators, a rally on the capitol steps (one of the biggest of the year! ), as well as attend workshops on important issues and advocacy skills, inspiring words from some of our legislator champions, and more. This day helps to show the depth, breadth and passion of the affordable housing and homelessness movement. And it helps move lawmakers on our key legislative priorities. Register today! Another way to help make Advocacy Day a success is as a volunteer. Volunteers for a variety of roles are still needed, from registering attendees in the morning, to leading meetings with your district's lawmakers (this role is especially crucial - if you've been to Advocacy Day before, please consider taking it on). Sign up to volunteer here. If you have questions about Advocacy Day, contact Alouise at the Housing AlIiance. I hope to see you on February 2! The Housing Alliance is in the process of creating a one-page document for each legislative district in the state that will include data about housing and homelessness, and a personal story of someone who’s life is better because they have a safe, affordable home. The stories are approximately 250 words with a picture. Because session has already started, we need these stories as soon as possible for our lawmaker meetings! We need storytellers for the following legislative districts: 1, 2, 4, 6, 7, 11, 12, 14, 15, 16, 17, 18, 25, 26, 28, 30, 31, 34, 39, 43, 44, 46. Again, with expectations low for this session, we strive even higher. Together, we will continue our track-record of making significant gains for affordable housing and homelessness. But your advocacy is needed more than ever – please join us in being bold, loud and persistent. Starting January 20th, join us every-other-Friday at 11am for a conference call detailing the very latest on housing and homelessness priorities in Olympia. These calls will cover progress of important bills and advocacy opportunities, and you don't have to be a policy expert to follow what's happening. Calls will be held on 1/20, 2/3, 2/17, 3/3, 3/17, 3/31, and 4/14. Anyone can join, just email reinyc@wliha.org for your call in code. P.S. Join the Housing Alliance on Saturday, January 21st for the Seattle Womxn’s March. Meeting location: West entrance of Judkins Park near 20th & S. Charles St.
Read more about Housing Advocacy in Action! A KEXP Benefit Concert...For Us! We have some exciting news - The Housing Alliance has been chosen by 90.3 KEXP and the Seattle Foundation to be a part of the re-launch of the their Community Partnership program! Four community nonprofits* are being recognized for their civic engagement work, specifically for voter turnout programs, and for working in underrepresented communities. Right now, promotional spots for the Housing Alliance are running on-air to highlight the importance of our work, and on Nov. 17th, KEXP is throwing us a benefit concert! When Kathryn Jacoby from Imagine Housing saw the opportunity to apply, she knew that the Resident Action Project and our Get Out the Vote efforts working with people living in affordable homes would be worthy of this type of public recognition. When she sent us the idea, we jumped on it! Given the huge election year, we know that it’s critical to register and turn out as many voters as possible who are directly impacted by housing affordability issues. We know that, while voting is important, voters voices become much more powerful when voters are engaged in the year-round cycle of advocacy. AND, movements are built when folks who are most directly impacted by issues are organized and leading the charge for change. That’s the potential of the Resident Action Project. The Resident Action Project aims to be a statewide network fighting for policy change that is led by residents of affordable homes and folks in need of affordable homes. This year in the Resident Action Project, we’ve been learning and growing. After several community meetings, advocacy and civic engagement training, and volunteer opportunities, the Resident Action Project is gearing up for the legislative session, and it’s going to be a loud voice! We aim to be transformational - not transactional - in our organizing, which means that we’re interested in providing opportunities for leadership development and growth for RAP participants. We are working hard to provide opportunities for folks to participate meaningfully in the democratic process, and we are grateful that KEXP and the Seattle Foundation are recognizing and supporting this work through the Community Partnership Program. KEXP is currently airing promotional spots featuring our mission statement, and my personal testimony about why this work is important. Be sure to listen for those! KEXP is throwing us a benefit concert** and we want to see you there! 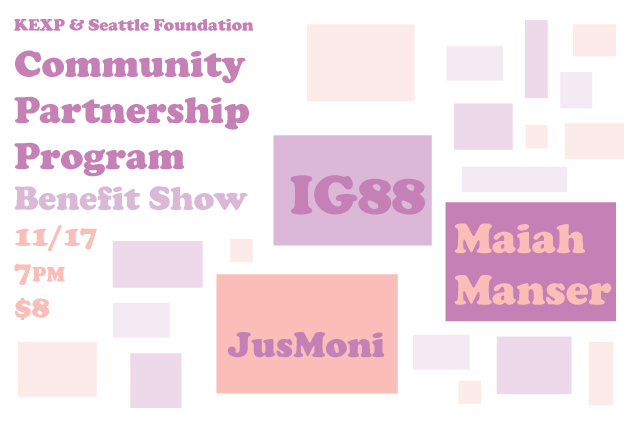 IG88, Maiah Manser, and Jus Moni will be performing, and tickets are only $8! Buy your tickets today! Attend a fun concert and support housing justice at the same time. We hope you can join us! *Along with the Housing Alliance, the Partnership is also recognizing the Washington Bus, Latino Community Fund of Washington State, and Open Doors for Multicultural Families. **Proceeds from this night’s concert will be split between the Housing Alliance and the Washington Bus. Read more about A KEXP Benefit Concert...For Us! Been here a couple months, and want to say hi! Hello! I’m Andrew Lewis-Lechner, and I’m excited to introduce myself as the new Development Director at the Washington Low Income Housing Alliance! In my new role, I’ll primarily be responsible for expanding our member base, managing donor relationships and connecting the Housing Alliance with partners who can help us further our mission: to ensure that everyone in Washington has access to a safe, healthy, and affordable home. I grew up in northern Illinois, and went to college in northeastern Iowa. There were farm fields basically as far as you could see. It was very picturesque, in a Children of the Corn sort of way. When I wasn’t hiding from he-who-walks-behind-the-rows, I was practicing my cello and trombone, or had my nose buried in a book. My parents are both teachers, and my we have union ties going back a long way in the family. Those connections and communities instilled in me a value of equity of opportunity and helped me see first hand the benefits of union jobs in terms of stability and a living wage. I was always taught about the benefits of collective action, and that we’re stronger as a group then we are alone. For as long as I can remember, I’ve been motivated by a desire to make real, lasting change in the communities I have called home and I feel privileged to be able to work for housing justice on a daily basis. I moved to the Pacific Northwest in 1999, and have been in the nonprofit sector basically my whole working life. Most recently, I was the Development Director for Courage360, a Tacoma based organization providing job training and housing services targeted to single parents working to increase their earning power and build stability for their families. From family self-sufficiency, to self-determination for the terminally ill, to international conflict resolution, I’ve found it a privilege to come to work every day for organizations that are shaping progressive change. I’m excited to step in on some new membership drives for the Housing Alliance to help us more deeply connect to the broad groups of stakeholders statewide who are doing work on housing issues. 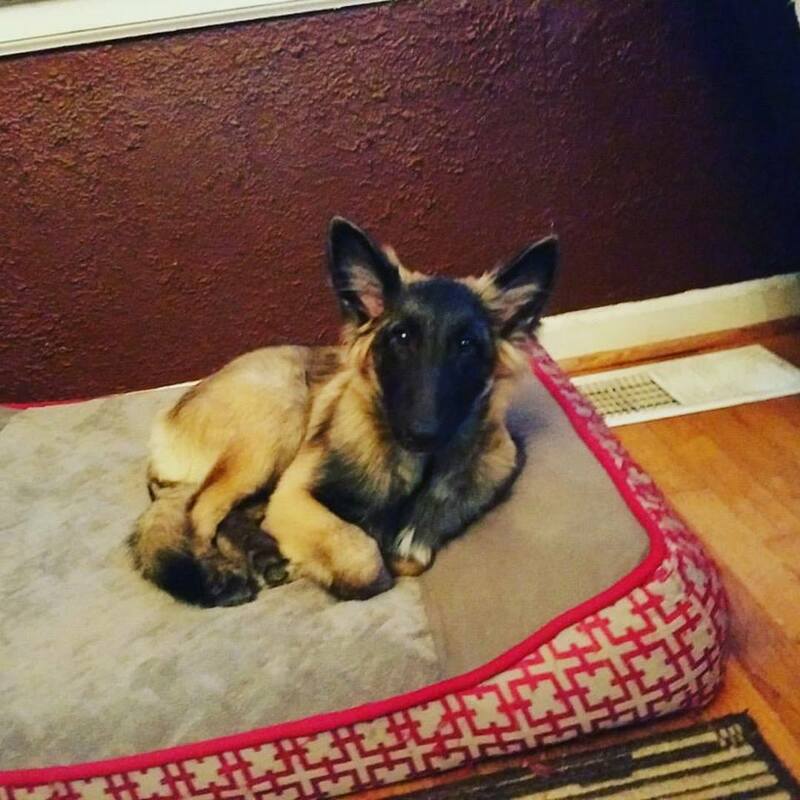 When I’m not working to advance our mission, I’m rebuilding my vintage pinball machine, officiating roller derby, playing with my 5 month old Belgian Tervuren puppy or remodeling the tiny 1942 salt box house my partner and I share in Tacoma. I’m lucky to be surrounded by talented, motivated and compassionate staff and leadership at the Housing Alliance, and I couldn’t be happier to join the team! Read more about Been here a couple months, and want to say hi! It is with great honor and excitement that I announce the recipient of our first annual Nancy Amidei Movement Builder Award -- Matthew Anderson! Matthew is the very essence of a movement builder. Every day, he represents the work the Housing Alliance is doing and works to empower the next generation of advocates in our movement for housing justice. Matthew first connected with the Housing Alliance when he quietly came to Housing and Homelessness Advocacy Day in 2013. The next year, when he applied for a transportation grant to bring others to advocacy day, I didn’t know a thing about him but I could tell how driven he was by the effort he put into that process. And it was successful: low-income housing residents arrived at advocacy day in an accessible van and the energy and enthusiasm they brought was palpable. The year after that, Matthew brought TWO vans of advocates to Olympia with him! In 2015 Matthew organized 5 Seattle Housing Authority residents to participate with him in the Emerging Advocates Program, and in the fall he spearheaded a conference so that more SHA residents could participate in housing advocacy. This past year, Matthew not only organized vans of advocates for Advocacy Day, but he also presented a workshop with Nancy Amidei and served as a co-lead for the 43rd district. He became a leader in (and recruited others for) the Resident Action Project, co-facilitated the Emerging Advocates Program at the Conference on Ending Homelessness, and presented on a panel workshop there. He is again organizing a conference for SHA residents, and is tapping into his theater and comedy background to lead a theater workshop in the fall for our new Emerging Advocates Program class of advocates. Matthew is a humble leader, motivator, and organizer. He does this work not for the recognition, but for the tangible difference it makes in the lives of the people he brings along with him. I can truly think of no one more deserving of the first annual Nancy Amidei Movement Builder award. Thank you to everyone who submitted nominations. It was really cool to see our community come together to recognize the great movement builders in the housing world. We are very excited about the work that these advocates will continue to do, and to learn more about how we can work together to realize the mission of ensuring everyone in Washington has access to a safe, healthy, and affordable home! Allow me to introduce myself. My name is Dimitri Groce, and I am the new Member Organizer at the Housing Alliance! My work will primarily focus on supporting our robust coalition of volunteer board members in their advocacy role as ambassadors of the organizations they represent. If you are reading this blog, I probably don’t need to convince you of that. It is an honor to be a member the Housing Alliance community! So—how exactly did I find myself in such a place? I was fortunate enough to be raised by a father who made sure that anxiety over the next eviction notice or rental application status did not interfere with school. I have seen many people struggle without the privilege of this same support, and even a college degree and full-time job did not exempt me from the structural pressures that put people out on the street, nor the indelible mental health impacts this strife creates. I have felt the sting of folks asserting they lived in this community when I spoke out—knowing the underlying assumption was that I did not. I have puffed my chest up with the pride of a Seattle native son claiming to know every curve and contour of this city, and I have sheepishly laughed at myself when this same pride has gotten me lost. Though a “home” was not always certain, the daring ability to feel at home kept me afloat. I learned this from change-makers who knew that the future of our communities depends on unapologetically centering around working class families, people of color, the LGBTQ community, and immigrant and refugee communities. They taught me that the power of telling one’s story is fundamental to moving people towards authentic, community-driven solutions. Working in the child welfare system in Los Angeles, I was exposed to how young children of color are acclimated to a life of transience and impermanence, which often leads to institutionalization or incarceration. In cities like Chicago, New Orleans, and Los Angeles, I have seen how different faces of neighborhood disinvestment give way to the same displacement and gentrification that we feel in communities around Washington. I was inspired by advocates, service providers, and community members around the country who were fighting to show that a safe, affordable home is fundamental to getting (and keeping) a good job, caring for their children, and building resilient communities. These experiences led me back to Seattle to become a better organizer. However, in these few weeks at the Housing Alliance, I have realized that being drawn to do this work is really about that feeling you get when you have a place to call home. And I’ll be doing my part to ensure everyone in Washington has that opportunity. Read more about Meet Dimitri! In 2012, in McCleary, et al. v. State of Washington, the Supreme Court ruled that the State of Washington has been violating its constitutional obligation to amply fund K-12 education, and gave the legislature until 2018 to comply. If the legislature funds basic education at the expense of other supports that help low-income students and students of color, the promise of McCleary will not be met. It is for this reason that we teamed up with the Children’s Alliance, Equity in Education Coalition, and Columbia Legal Services to write an amicus brief to the Washington Supreme Court to urge the court not to implement sanctions that would undermine other critical services. At this year’s Conference on Ending Homelessness, I had the opportunity to help with the Emerging Advocates Program (EAP). The experience was especially rewarding to me, because I am an EAP graduate. The program has changed my life, my work, and it is very dear to my heart. If you read this post and feel inspired like I am, I encourage you to apply for the EAP fall session, which runs September-November, 2016. Applications are accepted until July 24, 2016. EAP is an intense advocacy-training program for individuals that have experienced homelessness and are currently advocating for housing and social justice issues. This year’s cohort consisted of 22 advocates. It was an extraordinary experience to hear their stories, to learn about their work, and to witness their passion. The conference program for EAP consists a jam-packed day of training the day before the conference begins, EAP approved training during the conference, and a debrief session. The first part of day one consisted of an introduction to the Housing Alliance and an Advocacy Workshop by Nancy Amidei. During a workshop discussion, a participant stated, “how important it was to do advocacy work,” especially since he could “not vote due to a past felony.” Immediately Nancy asked him if his time and supervision was completed. He said, “oh yeah, for quite some time.” Nancy explained to him that he was eligible to vote, and took a voter registration card out of her bag. Within minutes it was completed and in a stamped envelope. The impact and celebration from the room was electric! The afternoon featured two workshops, one on housing policy and the other on how to tell your personal story. It was eye opening how many of us at the workshop had benefited from the funding and policies that the Housing Alliance has advocated and fought for! It helped to go more in depth on what’s happening in Olympia, and to discuss how EAP participants are working on these issues in their own communities. The story-telling workshop was emotional. It is still difficult for many of us to write down and reflect on our story, because it means having to go back and relive times of hopelessness, hurt, and the struggles related to experiencing homelessness and other traumatic situations. I have to say, this workshop was done in a safe, welcoming, and confidential environment. It was also a way to practice the shorter versions of our stories; the things we want our legislators to hear and understand. At the end of the workshop, it was clear that everyone had become closer and shared a special bond. The EAP dinner consisted of graduates from previous years and the new attendees in Spokane -- what a powerful group! It just felt right being there. It was like being with family. Hugs were abundant, and it was easy to see the room was full social justice advocates. Every time I am around people from my class and others, I witness that look of love in their eyes. It was awesomeness at its best! Over the next 2 days, participants attended their choice of EAP approved conference workshops, and the Been There Breakfast. I was the facilitator of that breakfast; a safe space where everyone could talk about the training, the conference, and how their lives were impacted. Day one had paid off not only in excellent training, but also in bringing the group closer together. One attendee, Billy, commented that, “knowing other people from EAP really made the workshops at the conference better and more comfortable”, and many others shared this sentiment. ”Meeting all the other advocates really reminded me of how our causes overlap. It’s not just what I am doing that is important, but what we are doing to change the situation with housing and social justice. Alfredo went on to say, “if I had to put into words what I got out of EAP, it is the fact that it ignited a fire, a fire that was already there but it wasn’t hot like it is now!” Alfredo gave an example of this, he is holding a direct action to try to get the sit and lay policy changed in Spokane. “I'm a homeless advocate, that's currently, homeless. This isn't my first time homeless, but prior to being homeless.... I've always had a passion to advocate for the homeless. EAP wouldn’t be possible without community support. Amerigroup Washington recently presented a $5,000 contribution in support of the Emerging Advocates Program, because they believe in aiding leadership development and advocacy support for individuals with direct experience of housing instability or homelessness. The check presentation took place at the first joint Housing Alliance and Housing Alliance Action Fund Member Meeting, in April. For more information about the Emerging Advocates Program, visit www.wliha.org/eap. Lawmakers gavelled an end to the 2016 Legislative Session late on Tuesday (3/29/16) after passing supplemental capital and operating budgets. While we are pleased to see some very important investments in affordable housing and homelessness programs, especially for homeless youth, overall the budget compromise is disappointing. Washington is facing a housing affordability crisis and homelessness has reached emergency levels in many communities across the state. This budget fails to adequately invest in the solutions we need to address this crisis. Both the House and Senate had budget options on the table that would have made a real difference in addressing homelessness and public will has never been higher – people recognize that we need to do more. The legislature missed an opportunity. Below you will find our full statement to the press, followed by a comprehensive table comparing all the budget proposals from the 2016 Legislative Session. Investments in affordable housing and homelessness in the compromise operating and capital budgets are a small step forward in recognizing the crisis afflicting tens of thousands of families and individuals in communities across Washington. However, these investments fail to expand the proven solutions we need to address homelessness. *language updated from 2.24.16 budget, but still could result in transfer to fee-for service. DURING THE 2015-2017 BIENNIUM, THE LEGISLATURS MAY TRANSFER FROM THE WASHINGTON HOUSING TRUST FUND TO THE HOME SECURITY FUND ACCOUNT AND TO THE STATE GENERAL FUND SUCH AMOUNTS AS REFLECT THE EXCESS BALANCE IN THE FUND. 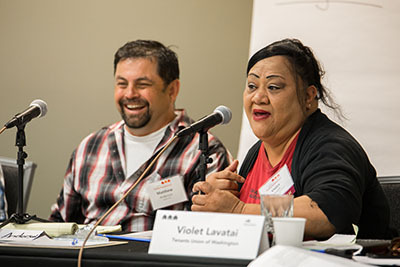 Every year, we gather together at our Annual Member Meeting to recap the legislative session and outline our upcoming work so that all Washington residents have the opportunity to live in safe, healthy, affordable homes in thriving communities. We hope you'll join us at this year's member meeting Wednesday, April 20th at 5pm! New this year, we’ll recognize our 2016 Advocacy Awardees at the Member Meeting and hear from the Housing Alliance Action Fund about interim advocacy opportunities. Be sure to RSVP to me to save your spot! 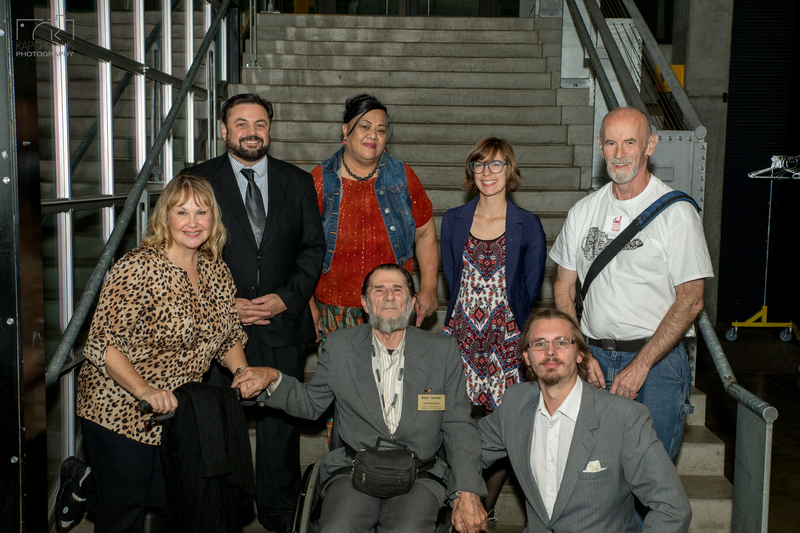 Over the years, we’ve honored a diverse group of community advocates, lawmakers, and organizations to highlight their achievements in advocacy for affordable housing and an end to homelessness. There are so many outstanding allies in our statewide movement fighting for new investments in housing, homelessness, mental health, and health care in the face of numerous challenges. We are excited to recognize the champions in our community. I hope you'll join us on April 20th to meet with fellow advocates, toast this year’s award recipients, and help us celebrate the end of another legislative session with delicious food and beverages at the Impact Hub in Pioneer Square. Read more about Join us to celebrate our 2016 Advocacy Awardees! Special Session Means More Time for Advocacy! As with many of the recent legislative sessions, lawmakers were not able to reach agreement on a final budget and the Governor has called them into overtime. Starting on Thursday, March 10th we are now in a 30-day special session. Despite a lot of grumbling by tired lobbyists and lawmakers, this is a good thing. It means that the House hasn’t caved to the many cuts proposed by the Senate in their Supplemental Operating Budget Proposal. And, it gives us more time to keep pushing for the final budget to include deep investments in affordable housing and homelessness. Remember, the House and the Senate budget proposals were worlds apart. The House made new investments in housing, homelessness, mental health, health care, early learning and other important areas while the Senate’s budget made deep cuts. It isn’t surprising there wasn’t time to reconcile those deep differences and we applaud the House for not caving to the cuts. Please show them that you’ve got their backs and that you want the Senate to agree to the investments by emailing your lawmakers again today. Have you emailed or called recently? That is ok. We’ve been told time and time again by lawmakers themselves, that they need to keep hearing from us. Repeatedly telling lawmakers that you are watching and that you expect them to stay strong is incredibly helpful, especially at this critical time in the negotiations. When lawmakers are not able to finalize a budget during the time allotted during the “regular session” the Governor can call them into a “special session”. During the next 30 days, lawmakers will mostly focus on issues pertaining to the budget. However, Governor Inslee took an unusual move on the evening of the last day of the regular session by vetoing many bills simply because the legislature didn’t finalize a budget. Usually, Governors reserve their veto authority to address policy concerns with bills that have passed the legislature. Because he vetoed many bills there may be a push to reconsider those bills during the special session. The Senate released details on a new budget bill around noon on Friday, March 11th and held a public hearing at 2:00pm the same day. The budget represents some compromises that brings it closer to the House’s proposal, but still does not include the $37 million in new dollars for affordable housing and homelessness that was in the House’s budget. Please see our updated budget tracker for details on key programs and again, please contact your lawmakers today to ask them to pass the House’s Supplemental Budget proposal. The Housing Alliance will keep you updated on developments throughout the special session. For timely updates, follow our social media pages especially the Housing Alliance’s Facebook page and Twitter, with the hashtag #wahomes. And we will be holding a member call on Friday, March 18th at noon. The conference call number is 1-866-339-4555, 2064429455. Once the session is over, we will provide opportunities for a comprehensive analysis of session outcomes and opportunities for advocacy during the spring, summer and fall. Thanks again for your advocacy and please keep it up!